Do you know your RRP? When you’re not up-to-date on RRP you stand to be severely penalized. 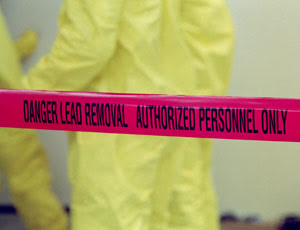 Recently, a KC company agreed to pay more than $65,000 in penalties for not following lead-safe work practices as required by the RRP rule. These violations included failure to properly post signs, failure to close all doors and windows as required, failure to cover the ground as required, and failure to clean properly. The Renovation, Repair and Painting (RRP) rule is a part of the Toxic Substances Control Act (TSCA). The rule requires each person or firm hired to perform a renovation to be certified and to use specific work practices to minimize lead-based paint hazards for workers and occupants. Under the RRP rule, general contractors can be held liable for regulated renovation work that subcontractors perform for the company. This includes record-keeping as well. Seats are limited and class is only offered once a month!